JWT Names Detroit as One of the "100 Things to Watch in 2011"
JWT, the world’s best-known marketing communications brand, today released its list of 100 Things to Watch in 2011. Many of JWT’s Things to Watch are technology-centric, with smart infrastructure ramping up, the rise of tablets for tots and some truly futuristic-seeming developments (3D printing, virtual mirrors, electronic profiling). Things to Watch for online will include a growth in Facebook commerce, apps beyond mobile and more social browsers. The people on the list—from pop culture, sports, architecture, fashion and other sectors—have the potential to drive or shape trends in the near future. JWT consistently ranks among the top agency networks in the world and continues its dominant presence in the industry by staying on the leading edge—from producing the first-ever TV commercial in 1939 to developing award-winning branded content for brands such as Freixenet, Ford and HSBC. JWT’s pioneering spirit enables the agency to forge deep relationships with clients including Bayer, Bloomberg, Cadbury, Diageo, DTC, Ford, HSBC, Johnson & Johnson, Kellogg’s, Kimberly-Clark, Kraft, Microsoft, Nestlé, Nokia, Rolex, Royal Caribbean, Schick, Shell, Unilever, Vodafone and many others. JWT’s parent company is WPP (NASDAQ: WPPGY). Detroit is struggling to revive its once-dominant auto industry. But if one businessman has his way, the Motor City could soon be known for a different kind of sleek line — fashionable blue jeans, made with the same technology used to clothe robots. This tale of transformation begins with Mark D'Andreta, a tailor's son who runs a company that for years has fed off the auto industry. TD Industrial Coverings makes protective "clothing" for the robots that are used to make cars. Apparently robots, like humans, have delicate parts. The machines need to keep the oil, dust and grime away in order to function properly. Until recently, 95 percent of D'Andreta's robot-clothing business was in the automotive arena. But then the car business crashed and he had to slash his workforce by 100 people, to just 30. "It almost took us out completely," D'Andreta says. "So, we made the decision that we needed to reach out to take what we do really well and map it outside of automotive." The company's strength is that it can make patterns and prototypes for garments very quickly. And D'Andreta has a love for fashion — his father, who started the company more than 25 years ago, had been the chief tailor at a department store in Detroit. So, D'Andreta began thinking about making clothes for people, too. D'Andreta needed a partner to help translate robot fashion into fashion for people. So, he turned to Joe Faris, a former contestant on Project Runway, the cable TV fashion design competition. A robot decked out in its finest attire. The clothing helps protect robots' delicate parts from messy situations in factories. Faris was looking for a place in his hometown of Detroit to make the clothes he loves — blue jeans. So, he and D'Andreta joined forces and established Motor City Denim Co.
"The jean captures what Detroit is," Faris says. "We can dress up the jean all we want, but there is a production element of it. And that's where I felt like we could do this here." At the factory where TD Industrial Coverings makes robot clothes, workers are making stiff, dark blue dress jeans inspired by the Motor City. The jeans will go on sale in March for $150 a pair at retail stores. Faris says Detroit has the design, engineers and production expertise to make it a fashion capital. D'Andreta says he's hoping to attract other designers with ideas. 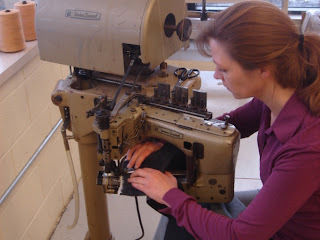 He hopes he can provide them with a space and the facilities to make all sorts of garments on large and small scales. He says he'll still make robot clothes. But D'Andreta hopes people fashion will account for 50 percent of TD Industrial Coverings' business in five years. That way, if the auto industry falls again, he'll have another leg to stand on. NFL Films Presents Loyola High School of Detroit from Dan Lawton on Vimeo. Sometimes, a seemingly meaningless post on Twitter can be more significant than the author ever intended. That is exactly what happened when Erin Rose, founder of Positive Detroit, tweeted that all she wanted was a jar of McClure's Pickles and a bag of Better Made potato chips. Heck, she said, they should just make McClure's-flavored Better Made potato chips. 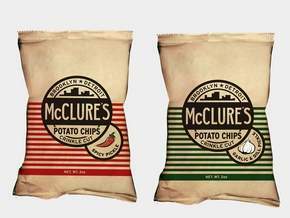 As Joe McClure, co-founder of Troy-based McClure's Pickles put it, 'That piqued the interest of Better Made who contacted me about creating a line of McClure's flavored potato chips'. "The guys from Better Made came here and tried our pickles and chatted. They told me that this is the same way Sam Cipriano (founder of Better Made) started." There is no set timetable as to when the chips will hit stores, if they ever do, but Mark Winkelman, president of Better Made, said he is excited about the possibility. 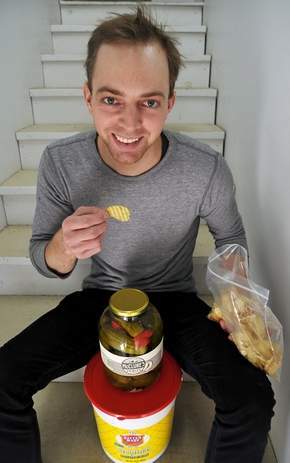 As if creating its own line of potato chips isn't cool enough, McClure's has also found a niche customer base for its line of pickle brine — in an unlikely place as part of a drinking trend that started about a year ago. Joe McClure says the Pickelback, a chaser of pickle brine taken after a shot of Irish whiskey, started when a girl at a bar in Brooklyn asked for a shot of whiskey and some pickle juice. McClure said the bar had McClure's and served it. But The New York Post says the shot was created by a bartender at the The Bushwick Club in Brooklyn. 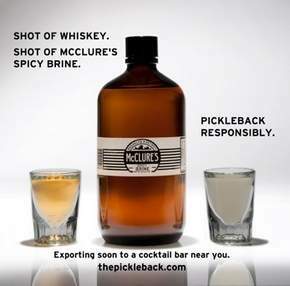 According to legend, McClure's was using the basement of the bar as a storage area for its pickles and one of the bartenders chased a shot of whiskey with the pickle brine. Whatever the case, McClure said he was contacted by a representative from Jameson Irish Whiskey who asked him to send some of the pickle brine to Ireland so its board of directors could try it. "We sent them a case and got word back that they liked it. So we sent more. I don't know if they are just drinking it or what," McClure said. Miami-based liquor distributor Southern Wine and Spirits bought 1,000 jars of McClure's pickle brine to test the Pickelback at Penn State. Revenue has more than doubled for the company over the last year. 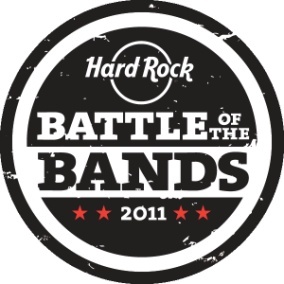 In 2009, it generated revenue of about $500,000. Last year, it hit $1.1 million. McClure is expecting revenue to hit $1.75 in 2011. "We have increased production by 30 percent from the end of summer," he said. "We were making between 60 and 70 cases of pickles a week, now we are making 100. That's like… 1,200-1,500 jars a day." 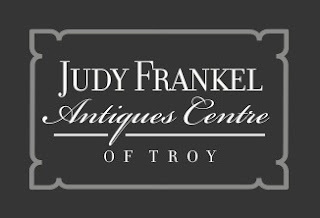 Judy Frankel Antiques Centre of Troy Owner Judy Frankel has earned a reputation locally and nationally for offering an eclectic mix of antiques and quality service at a fair price. Specializing in French, Belgian and English antiques, Frankel understands her clientele and caters to their needs, as both antiques dealer and designer. The Troy-based gallery will unveil the new Bespoke Collection, Frankel's own line of European handcrafted, custom furniture inspired by both mid-century and the art deco movement. The classic pieces are at once timeless and modern. She began designing as a way to fill the need for transitional pieces she could not find in the antique world. Her pieces are so authentic 1930's, the Bespoke Collection has caught the eye of Hollywood filmmakers. The quality, workmanship and design reflects Judy Frankel Antiques Centre of Troy reputation of top-notch. In the burgeoning film business across Michigan, the Judy Frankel Antiques Centre of Troy rented out more than 200 of its pieces for use in such movies as Clint Eastwood's much-heralded Gran Torino and Wes Craven's upcoming, anticipated sequel, Scream 4, including pieces from the Bespoke Collection has been among them. From set decorators to designers, photographers to individuals seeking that special item for their home or office, Judy Frankel Antiques Centre of Troy caters to a diverse clientele. The gallery kicked off 2011 with a fresh look. Frankel has expanded the already vast space to fill a total of 9,000 square feet with her carefully curated selection of fine European antiques. The new space includes new architectural elements, flooring and an expanded selection of antiques from which designers, collectors ­- and yes, film set decorators - can choose. "I could not be happier with the results," said Frankel, who travels extensively to personally select the items she carries at Antiques Centre of Troy. "Our future shipments will be larger and reflect the many trends in design that clients desire. We believe there is no gallery comparable to ours in Michigan and, perhaps, in the Midwest." Dice.com Ranks Deeeetroit as the Fastest Growing Area for Tech Jobs! A new wave of job market improvements is shaping a fresh set of career opportunities for technology professionals – every major metropolitan market has more opportunities this year than last, as measured by the number of jobs posted on Dice. * Detroit tops the list with more than 800 available tech positions on any given day – that's double the number posted last year. Let's extend those two minutes of Detroit super bowl advertising goodness, by highlighting that technology professionals make on average $71,445 per year in the Motor City, up two percent from a year ago. * Ohio has state bragging rights with three cities on the list, Cincinnati (#2), Cleveland (#3) and Columbus (#4). Technology professionals can find opportunities with financial services companies, retailers, manufactures and retailers in the region. * Job openings in Seattle are up 54 percent year/year to more than 2,200 which makes it the fastest growing large market on the list. That demand is translating into slightly more pay as Seattle-based technology professionals earn on average $86,168 per year, an increase of two percent from last year. * Pittsburgh technology professionals can expect to take home more than $65,000 a year with job opportunities in the area up 45 percent year/year. Technology and engineering professionals can find opportunities in specialty metals, healthcare and financial services. * Two Florida cities make the list, with Miami at number seven (job postings at 533, up 43% yr/yr) and Jacksonville at number eight (job postings at 380, up 41% yr/yr). Technology professionals in these cities can expect to make at least $68,000 per year – and those in defense with security clearance much more. * Job opportunities in Chicago (#9) and Silicon Valley (#10) are up 40 percent year/year – with more than 3,200 and nearly 4,800 jobs posted respectively. For these two major markets to be growing this fast a year into the recovery, only bodes well for new career opportunities and increasing wages. With demand improving in more metropolitan areas, the recovery starts to cement for technology professionals across the country. The task for tech talent is to take advantage of the new opportunities. Enjoy this month's issue of The Dice Report. The MSU and Central Michigan baseball teams will renew their in-state rivalry this spring by playing the first ever college baseball game at Detroit’s Comerica Park on April 20, CMU said in a press release Monday. A press conference officially announcing the game with representatives from both schools will be held at 10:30 a.m. Wednesday at the Tiger Club at Comerica Park. Located in downtown Detroit, Comerica Park replaced Tiger Stadium in 2000. Along with housing MLB’s Detroit Tigers, the ballpark has hosted concerts featuring acts such as Dave Matthews Band, the Rolling Stones and, most recently, Eminem and Jay-Z last summer. The Chippewas possess a 62-46 lead in the all-time series, however, the Spartans won two of three games between the two last season on the way to a 10-2 record against in-state opponents. 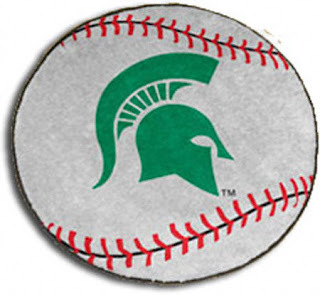 MSU finished last season with a 34-19 overall record, including an 11-13 mark in Big Ten play. Meanwhile, CMU amassed a 36-22 overall record and won the Mid-American Conference championship by finishing 20-7 in the conference.